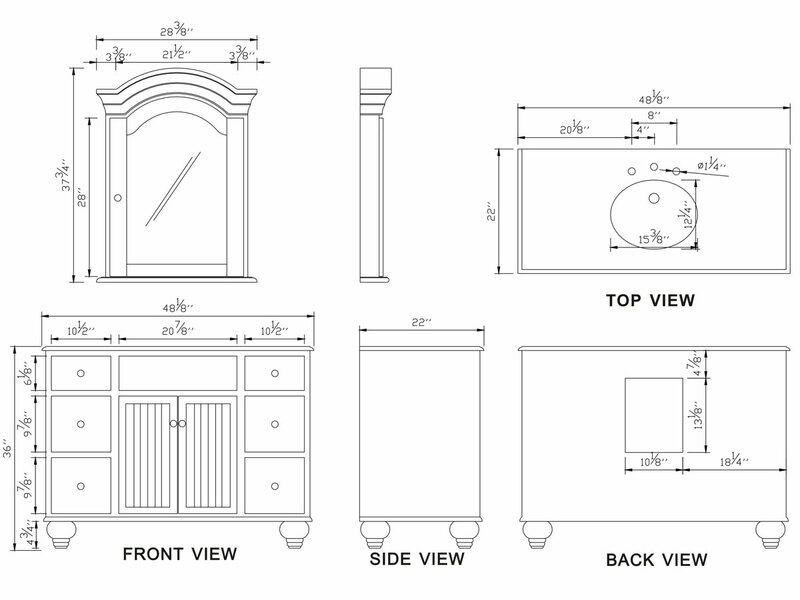 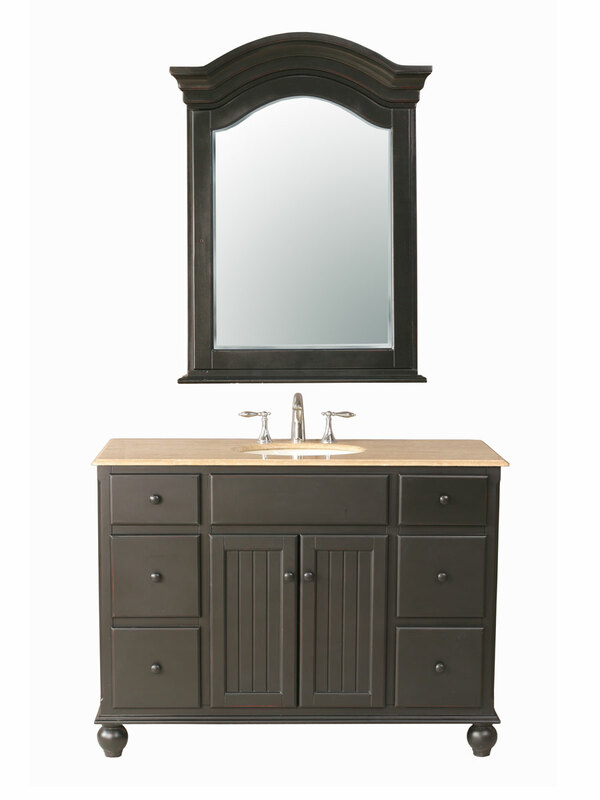 Make a style statement in the bathroom with the 48" Kennedy Single Bath Vanity. 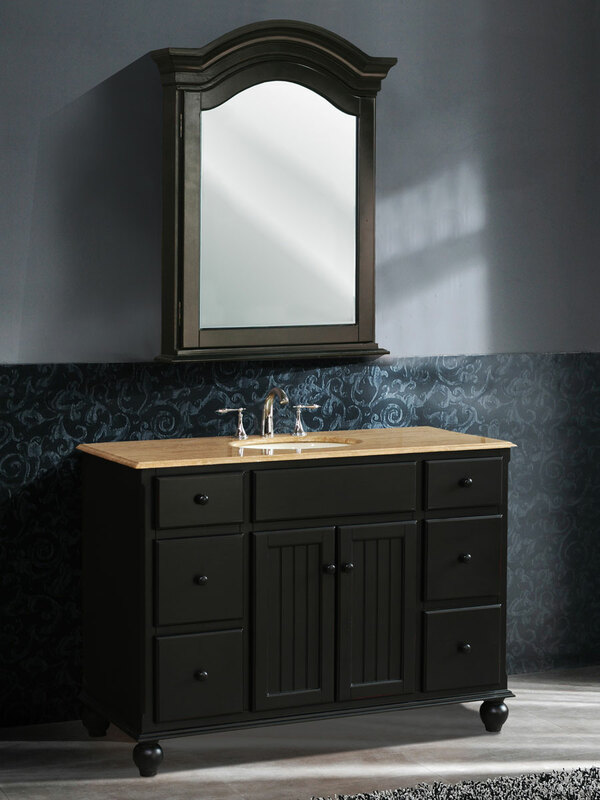 Perfect for both modern and traditional bathrooms alike, this vanity features a splendid Dark Wood polished finish with a 2-door cabinet and 6 functional drawers of varying sizes for various bathroom accessories. 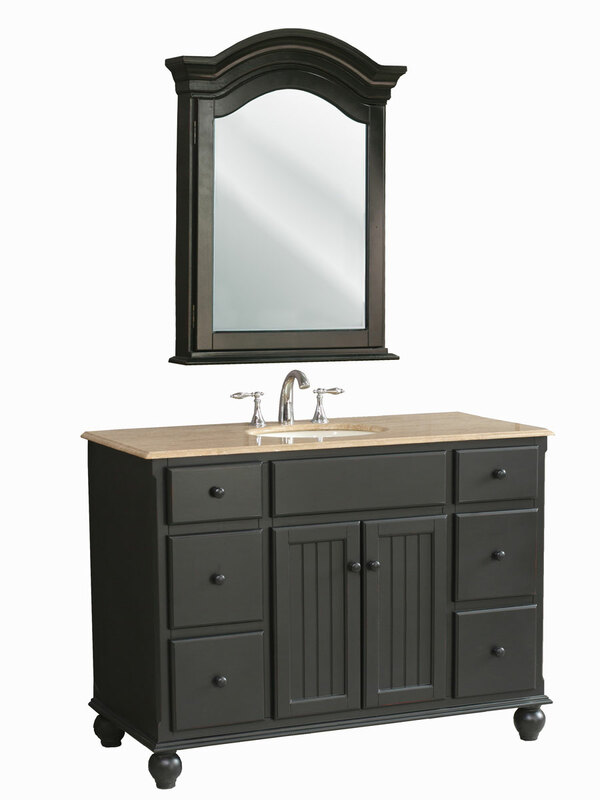 The matching mirror comes with the vanity and offers a great accent to the overall look, while the rounded knobs on each door and drawer offers easy access and a finishing touch. 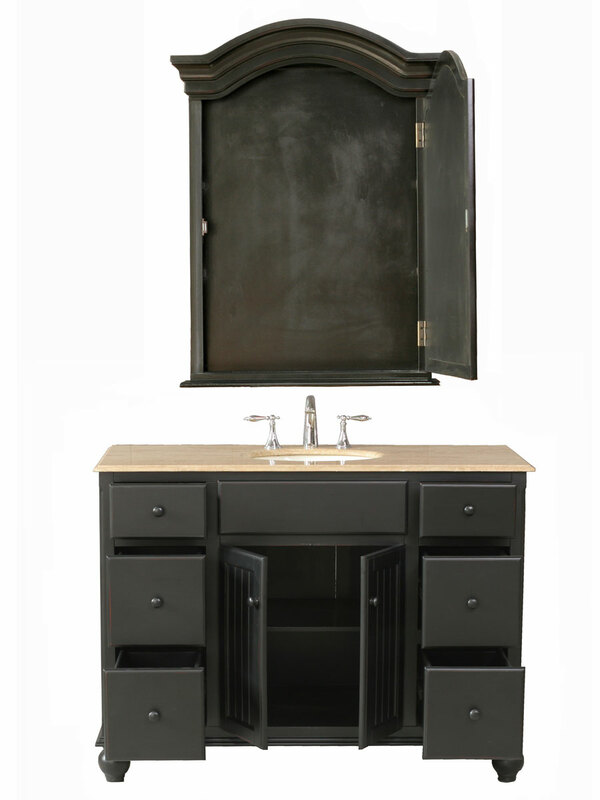 The Travertine top offers an alluringly bright contrast to the entire vanity, giving you a stylish and functional bath vanity for your bathroom.